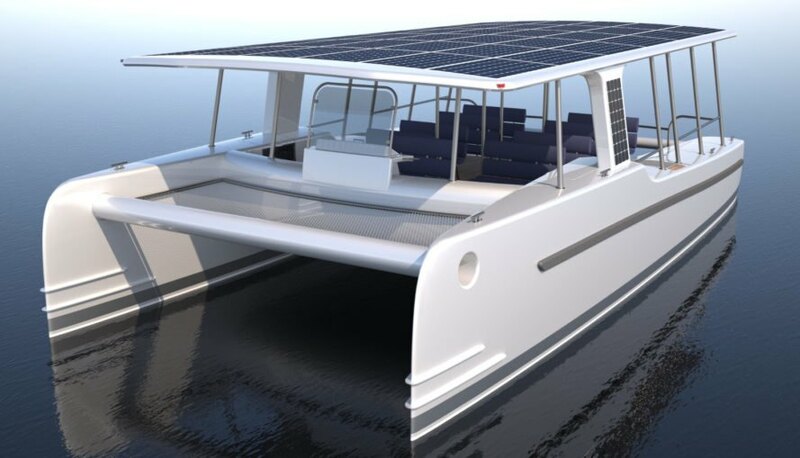 Dutch marine designers Soel Yachts has created a solar-powered motor boat intended to boost eco-tourism, and it will debut later this year. The SoelCat 12 is a 39-foot catamaran built from lightweight, resilient materials. The boat can reportedly travel up to six knots in complete silence when powered exclusively by its massive onboard solar array, which should make for some pretty smooth sailing, so to speak. The double-hulled boat vaguely resembles a pontoon boat, with a large, wide awning covering the deck. That covering sports 809 solar panels, which generate clean energy to power the boat’s silent motor. Additionally, there are two 30kW battery-powered motors onboard, which can boost the boat’s speed up to 15 knots when engaged. Soel Yachts says the boat will be composed of lightweight materials especially chosen for their resilience against salty seawater. In keeping with the latest trend in manufacturing, the boat is designed to be manufactured as flat-pack components, making it possible to fit all its pieces into two 40-foot-high cube containers for easy shipping. Koster says his company’s creation offers “a 100-percent sustainable alternative to conventionally powered boats used in the industry so far” and could make a huge impact on the tourist experience, given the absence of noise and engine exhaust. When the SoelCat 12 is released later this year, it will cost a mere $562,000 (£420,000). 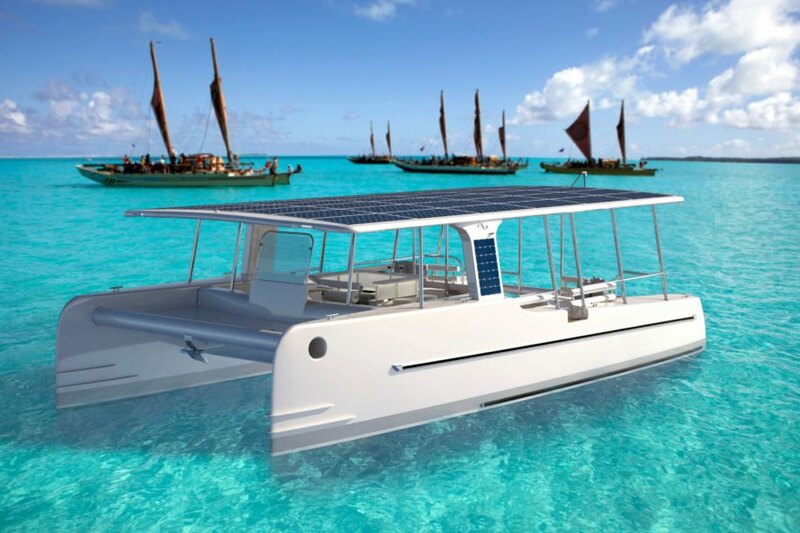 Dutch marine company Soel Yachts has designed a solar-powered catamaran that can reportedly travel silently at six knots.